So, I jumped back on the band wagon, and we hit 5th grade running, a little more experience, a little more confidence, and a whole lot more comfort (for both of us- BUT a HUGE difference for him). Gone are the days of “I must answer right”, and here are the days of, “If I don’t understand it Mom can go over it again, no biggie.” Gone are the days of sweating bullets over grades, here are the days of grades tell us what we don’t really understand so we can spend more time on it. Yep- I’m happy to report? I have successfully deprogrammed my child from the public school mentality! All this sounds great right? And it is, but what I REALLY want to tell you – is simply amazing. See, before my son left public school, I was looking at getting him tested for Dysgraphia, I was pretty sure he had Asperger’s, I knew something was going on but I wanted to try every natural route before implementing medication. He was behind in reading and writing, but writing was IMPOSSIBLE. I can still remember LITERALLY tugging at my hair when he would have a writing assignment in school. It would make me SO MAD, he spent 8 hours a day there, then he’d come home, not know how to write the assignment, homework would take 2 hours out of my life and leave me exhausted, drained, stressed out, and questioning what the hell he was learning in school if I had to spend TWO HOURS coaching him. What exactly were they doing for him at school? Being a writer myself I found this fact exasperating. “Writing is talking and you have no issue with that!” I would tell him, (my son has an extremely skilled vocabulary, he is very personable, he often lacks the ability to be able to tell when he should STOP talking)- so? I figured that writing should be a breeze for him… shouldn’t it? Put your words/thoughts on paper, the end. During 4th grade, (my first year homeschooling), I was petrified of EVERY writing assignment. I wanted to crawl into a hole and cry. We’ll focus more on spelling and reading since he was so far behind in those areas, I mean I figured it must be hard to write, if you can’t spell or read and he was testing out at a 2nd grade level in those areas. We skipped a LOT of writing assignments, saving them for later. Over the summer we continued light schooling, and I gave him odd responsibilities such as, “Write the grocery list” , or “Make your chore list”, I also would ask him to help me find road signs on the road. I realized he was getting MUCH better at spelling and reading. Then, as though a light bulb literally came on and brought me out of the dark. Why didn’t I show him, how to do prewriting on a high school level? (Or at least what was high school for me). He is REALLY Mathematical, maybe if I showed him how to take a writing web (which he already knew) and plug those thoughts into an outline using letters and numbers? Maybe he could add them all together and write a paper. The next subject we tackled in writing happened to be about Benjamin Franklin. The assignment was to write a paragraph summarizing Benjamin Franklin’s life. I decided, to show him how to take what he knew, web it, put it in an outline, and the told him to add it together. I was SHOCKED at what happened next. He produced a 5 paragraph essay paper on what he knew about Benjamin Franklin, it included opinions such as “I think Ben Franklin liked Science just like me”, and so much more. I just kept encouraging it. We are on our 3rd week of school right now, and that happened at the end of our first week of school. My son is now writing for fun, now he is writing at the end of every day, we had some tough subjects the other day, our school day went very long, and STILL, he decided to write a “chapter” to his current Autobiography. (Each chapter truly equals a paragraph but it’s adorable- seriously). Me Hi my name is A and I am 10 years old and I’m going to talk about my brothers and I. I am homeschooled and I love it. It is much better for me and I learn more than I did in school. I love my brothers so much that I don’t know what I would do without them. Sometimes, they do annoy me, and it makes me mad. So there is a little bit about me. My Family I have five members of my family including me and two dogs*. I have two brothers; P & L and I love them so much. My brother P is 6 years old and he has Autism that means he can’t think like I do. Then there’s my brother L who is 3 years old and he is very attached to me. My mom and my Dad are the best parents ever. My mom is 31 years old and she has ADD and I love her so much. Then my Dad is 30 and he has Asperger’s just like me. I have two dogs, one is named Cali and she is only 1 year old and is the most annoying. Then there is Sunny, and she is 1 too and she is my dog. I love my family so much. My Brother with Autism My brother P has Autism. It is hard for him to do certain thing. He can’t process things like I do. He has meld downs that means he screams very loud. It is hard for me to have a brother with Autism but I love him so much. …….To be continued….. Never in my wildest imagination, would I have thought, that one year of homeschooling my son? Would change his approach to writing THIS much. Way to go buddy- I’m so proud of you! He is reading though Little Bear and yesterday he even read a story to Little Brother. The dragon is sitting on the lunch box. A camel is standing beside the cabin. Seven ants got lost in the prison. Jean shovels snow on the planet. My kitten can pedal the bike fast. I am excited about this improvement and hope this is going to turn the page for him. We love audio books. Audio books offer many benefits, not only do we get to make good use of all our “car time” but Momma doesn’t mangle the names!! We used to live where “going to town” meant 45 minutes one way, and we started listening to audio stories mainly downloaded from http://www.storynory.com. In fact, save The Secret Garden, we have almost everything there. I download them as Mp3s and then put them on my Ipod for listening in the care. We have listened to full length books (The Wizard of Oz and Alice in Wonderland) and so tons of short stories and famous fables and myths. There are some newer stories that I need to download and add to our collection. The boys enjoyed the Troy stories I downloaded so much that I bought Tales from the Odyssey Audio Collection by Mary Pope Osborne for our long drive back from Georgia to the Midwest. We have listened to the whole thing at least three times, and the ending more than that. Little Brother seems less enthused but Big Brother will ask for “Natasha” (the narrator from storynory that they like) or the Odyssey. We just finished The Lion the Witch and the Wardrobe. We listened to it for the first time this past week on a drive to Kansas (3 hour drive, 2.5 hour audio book) and we’ve listened to the whole thing again and are on our third “trip” though Narina now; all in less than a week. I love the opportunity to “put to use” time that would otherwise be dead time, in such a beneficial way. We share stories that become part of our shared lives. We get to hear many more stories, using car time for “reading” than we would if we simply had exposure to what momma reads. I am also only choosing unabridged versions; I don’t want the beauty of the original watered down; and especially since they are not young readers tackling these stories in print on their own, I see no reason to alter the originals. We have a apx 900 mile drive coming up next week and Momma is prepared with more audio books. I bought The Merry Adventures of Robin Hood [Audiobook, Unabridged] [Audio CD] and on a lighter note Farmer Boy [Audiobook, Unabridged]. Over the next 12 months the boys and I will log a lot of miles and I can’t wait to get to our new library and dive into their audio book collection. We ought to be able to listen to maybe even three audio books per trip. I try to keep my selections more classical, not books that the boys will be reading on their own any time soon (like The Boxcar Children – but as we drive back and forth so much, and depending on what the lib has to offer, I am not ruling anything out), more challenging than they are ready to read on their own. I also try to use this time to introduce longer stories that would take us a long time as a read-a-loud but when you are driving 8 or more hours, well that IS a long time. In fact I had a hard time choosing our second books (to go along with Robin Hood) for this trip and was torn between the one I did buy (Farmer Boy) and these two. When I was younger (a lot) a freind of my mom’s gave her an idea for a bookworm (Thanks Karen). It is a simple idea and simple to implment too. 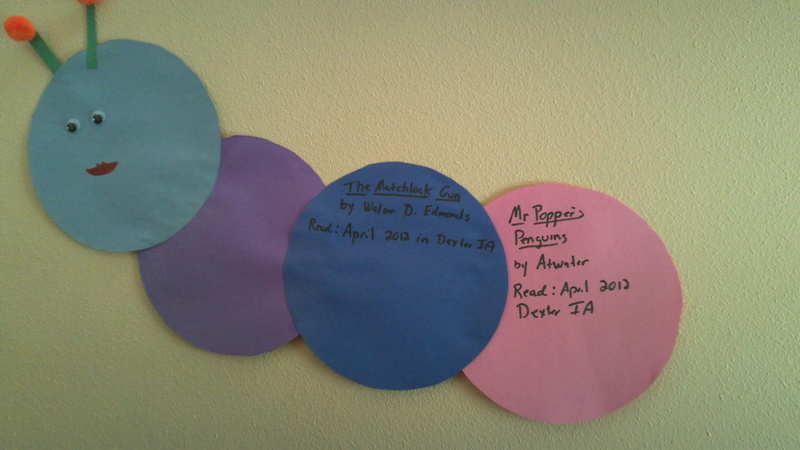 You build a catipiller from circles of construction paper then youi log your books, one book per body segement and thus “grow your catipiller” by reading more. The lady that suggested this to mom had more than one child, thus the inherent compention angle covered. 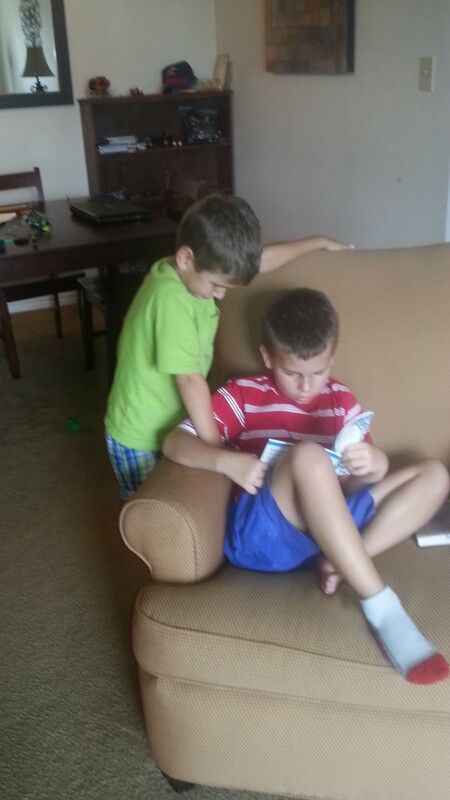 While my boys would love to compete in any way they can; neither is reading independently. 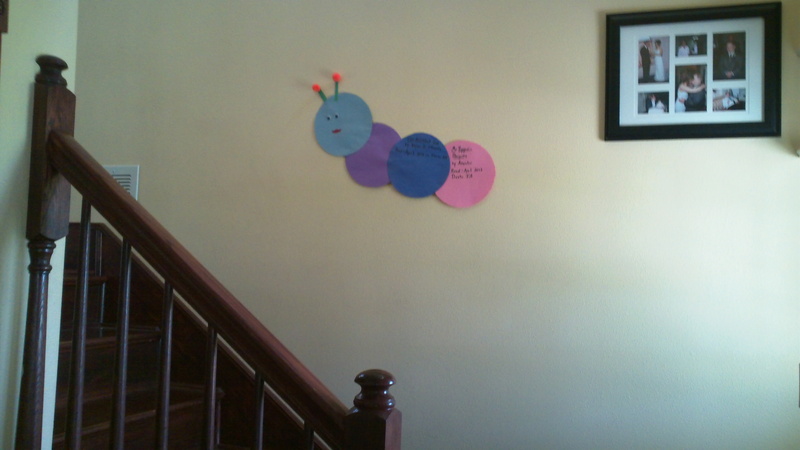 So I thought it would be cool to have a family caterpillar for our read-a-louds; our chapter books. I hoope it will be nice for the kids to look back on — I think when they are older maybe I have them write a comment or rating of the book on the body segement too; i made it kinda of big for that reason. We’ll also have to name him / her at some point. We all know the old war of reading; sight words vs phonic, whole language vs phonic and so on. I have chosen to take a varied approach with our boys. We read a great deal and have a mass of books thus meeting the “rich print environment” and the “submerge them in real literature” aspects of the whole language approach (and I have a labeling obsession too). However, I admit THAT has very little to do with learning to read, and is more an aspect of our family, our parenting and our desire for the boys to love to read, rather than how we hope they will learn to read. Big Brother and I are working though a traditional phonics study, and plan to stay at it till at least 3rd (adding spelling in 1st grade) to ensure a strong and functional ability to decode, not guess at, unfamiliar words quickly and confidently as they are encountered. I have also chosen to practice ‘sight words’ with Big Brother (and Little Brother also) though we will not be depending on memorization in place of decoding and phonics as an approach to reading. Nevertheless the evidence that sight words can effect fluency of reading is strong and many English words ‘break the phonics rules’ and have to be learned outside the decoding of phonics. Problems in Reading“. Dolch compiled the list based on words used in children’s reading books in the 1930s and 40s. The list contains 220 “service words” that must be quickly recognized in order to achieve reading fluency. The Dolch Word List is also called Sight Words or The Dolch 220. It includes the most frequently used words in the English language. Sight words make up 50 to 70 percent of any general text. Big Brother is able to decode simple CVC words at this point, but it not ready to dive into even the simplest easy readers. What he does need, and is ready for, is practice, practice, and more practice with CVC words. 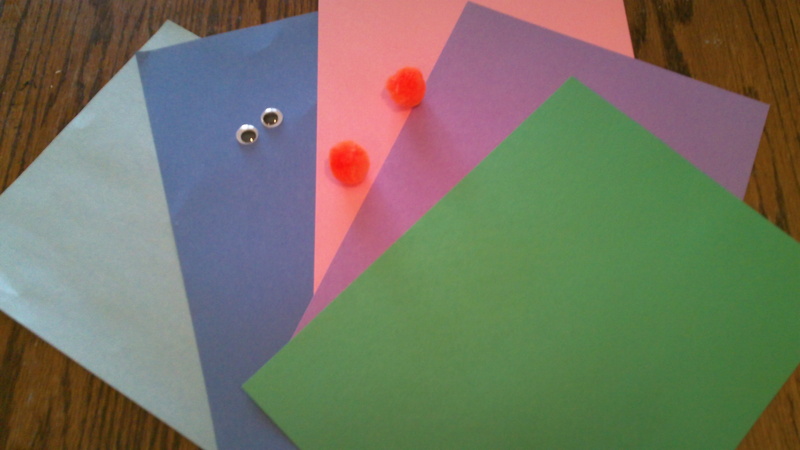 I have decided to print several sight words and also word family flash cards to use for reading practice. http://practical-homeschooling.org/wp-content/files/3_word_lists.pdf – I chose this page of word cards because it offered short vowel practice – a list for each of the five main vowels and then 2 cards that are mixes. All work phonically and are solid practice on “decoding” or “sounding words out”. http://www.kidzone.ws/dolch/preschool.htm– set one, two and three – the Pre-Primer (pre-school) list of Dolch Sight Words. We did not do sight words for pre-school so we will work on mastering this list, then move on to the Kindergarten list. There are many options for printing the DSW from, I chose this one as they are simple flashcards, no pictures, and I liked the size. http://www.kidzone.ws/phonics/index.htm – I chose to print only 3 word families to start with (In addition to the other flashcards I printed, that is). The an, ap, and at families. I will return and print the other sets. (to get to the flashcards, choose the activities option for each set). I do not like that there are only 6 flashcards for each set, but I can make more later (or find others). This printing gives us quite a stack of word cards for Big Brother to start practicing. 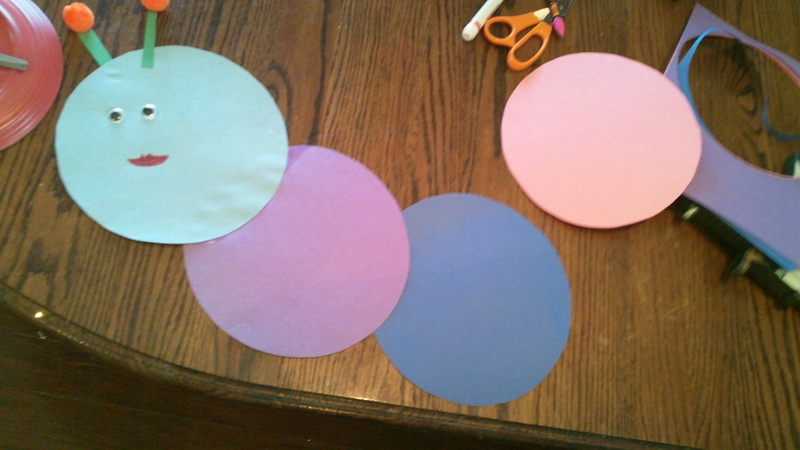 I then cut the cards apart and laminated them for repeated use and “play”. Both my boys like to be able to handle things, and I’d like the cards to last. After we master reading them, I can see them being used for alphabetical order dills and so on.